MangaDLR is a ad-free manga reader for android. 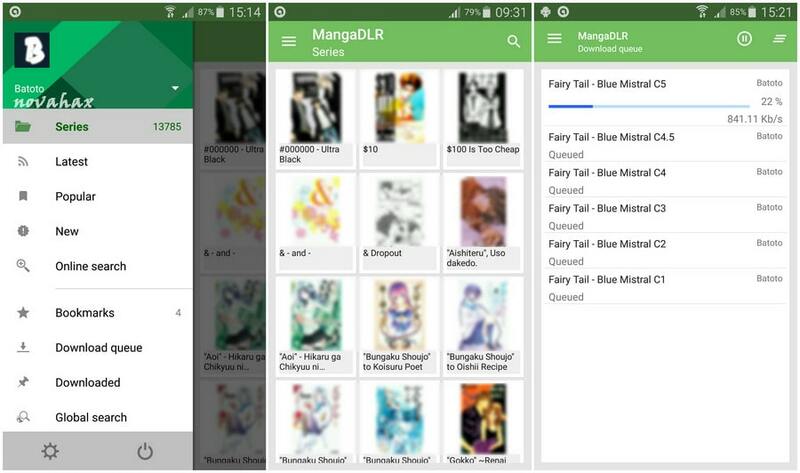 MangaDLR lets download thousands and thousands of chapters for hundreds of series and conveniently read them from your device. It includes a button-shaped page turner on the right part of the screen that will show when you tap that area, an option at the bottom of the screen that you can use to select the exact page you want. Support more than 40 sources. Horizontal reading (left to right or right to left), vertical reading. Bookmarks, check for new releases. Show latests chapters, new series, popular series. Search by name from a static list, search with the advanced search of the source. Show series in card mode or list mode. 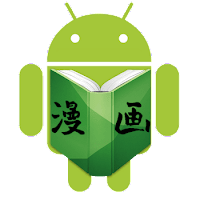 "Manga Rock definitive is the most popular manga reader app for android"
Access more than 14,000 different manga and read everything you want in a simple and convenient way with this app, an app created especially for manga fans. It's probably one of the biggest catalogs that you can find.